Introducing MiraCurl™ The World's first fully automatic professional curl machine. Creates perfect curls every time! For your safety and continued enjoyment of this product, always read the instruction book carefully. MiraCurl™ is a revolutionary way to create one perfect curl after another. The MiraCurl lets you control temperature, time and curl direction, providing the flexibility to form loose waves, soft swirls, defined curls, and more. It even signals when it's time to release the curl, so perfect results are foolproof. Instant heat-up and recovery, up to 450ºF, produces consistently flawless results. 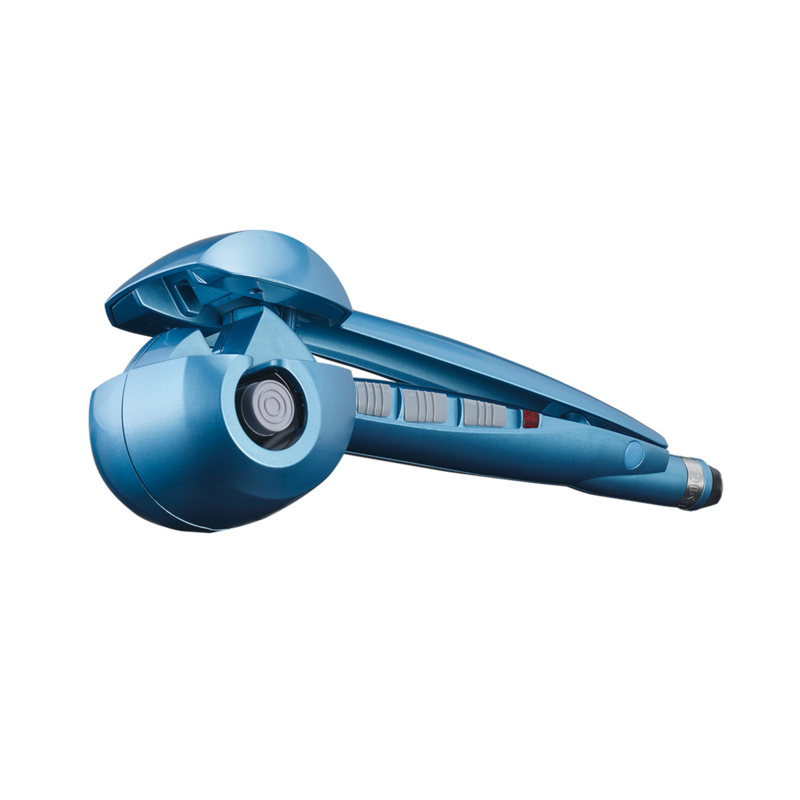 The Nano Titanium curl chamber - into which hair is gently pulled, heated and held - imparts silky shine to finished curls. This miracle machine is driven by the new Maxlife brushless motor, which provides precision control, light weight, long-life and superior results. "This thing is amazing. I have used it on many many updos and the curl will not fall out!" "Highly overrated product. Not easy to use and I get way better curls from other self rotating tools."